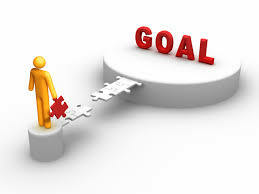 Goals are a vital component to any business or company, without them there would be no direction, motivation, or purpose. Goals keep people focused on their work and give them something to work for. They inspire people to believe in themselves and encourage them to try new things and get creative with their work. GOAL based coaching is designed to do exactly that. GOAL is an acronym for Great, Opportunity, Action/Activity, and Love. The purpose of GOAL based coaching is to use this acronym to set goals, make a plan to achieve them, and follow through with that plan.